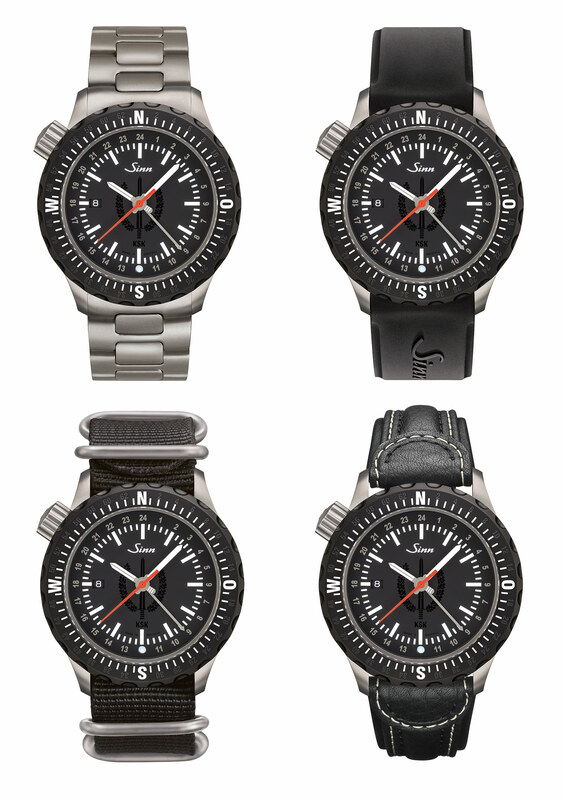 Two black-coated, submarine steel U1s, and a civilian version of the limited edition made for Germany's special forces commandos. 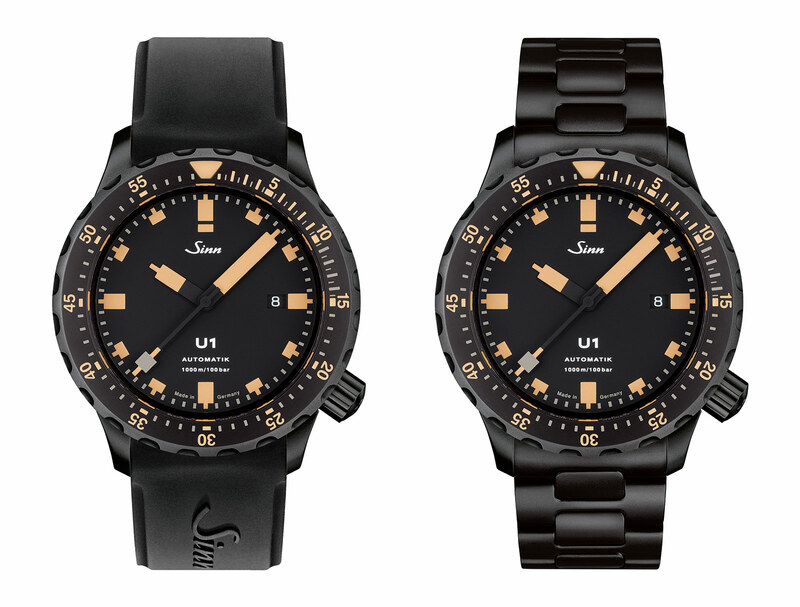 Sinn just revealed a trio of U-series dive watches at Munichtime 2016 (joining the U1 Camouflage from earlier this year), all featuring the key elements that define the line, including submarine steel cases and a no-nonsense military look. One of the three, in fact, is essentially a military watch. The flagship of the new models introduced at the annual watch fair inside Munich’s Hotel Bayerischer Hof is the 212 KSK. KSK is short for Kommando Spezialkräfte, the Special Forces Command of the German military, a unit that’s comprised of elite rapid deployment troops. 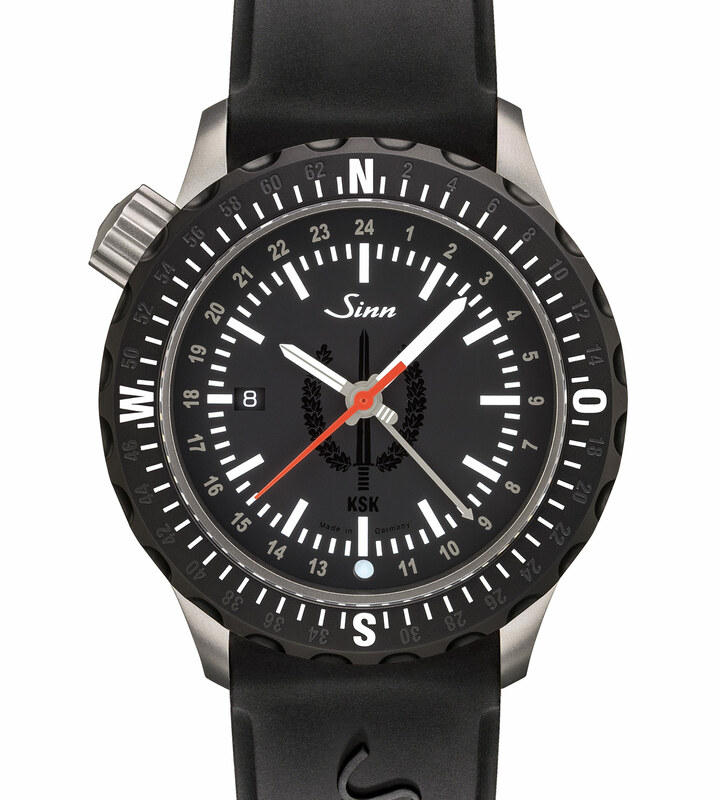 Already the official supplier of wristwatches to the commando frogmen of the navy’s Kommando Spezialkräfte Marine (KSM), Sinn’s 212 KSK is the civilian version of a wristwatch made to mark the 20th anniversary of the KSK. The KSK-only edition was a run of 70 watches designed in collaboration with Gemeinschaft Deutscher Kommandosoldaten e.V., the association of German commando soldiers. While these were only available to members of the unit, the 212 KSK is a limited edition of 300 pieces available to civilians. Minor differences separate the civilian and military versions. Both are emblazoned the emblem of the KSK in the centre of the dial and feature an hour hand shaped like a sword, but the military version has a slightly different dial design and a green seconds hand (the civilian model has it in red). 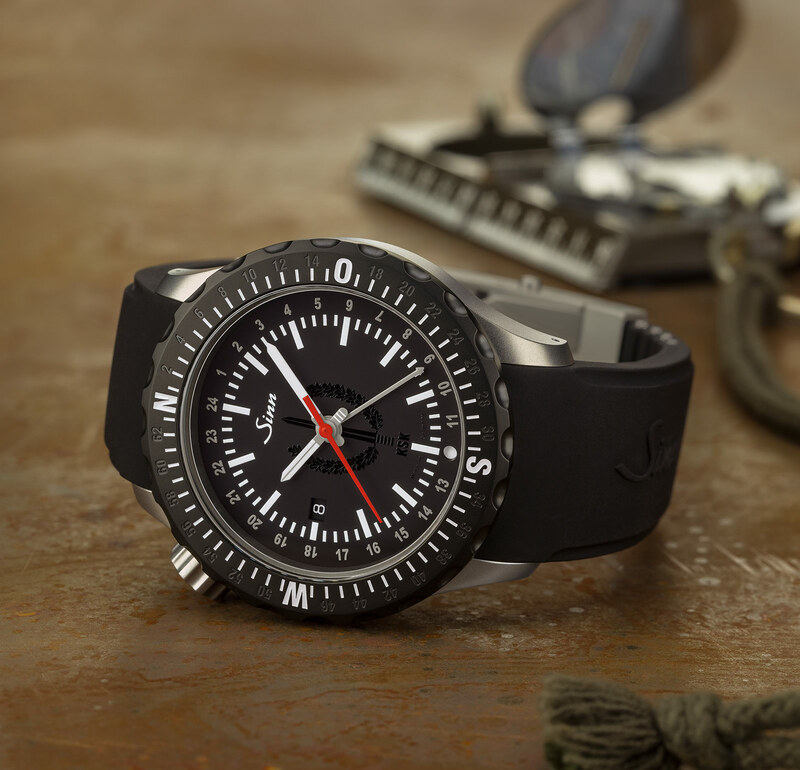 Another unusual military inspired feature is the 64-click bezel, modelled on the 64-mil ratcheting of the German army compass. “Mil” is short for milliradian, a unit of angular measurement often used for mapping and artillery. The bezel is a manual navigational tool: the twin hour hands can be used in conjunction with the compass bezel to determine direction, by aligning the bezel to north, which is determined via the time and position of the Sun. The 212 KSK is equipped with a additional arrow-tipped hour hand showing a second time zone on a 24-hour scale. And it’s powered by an ETA 2893 automatic fitted with a GMT mechanism. 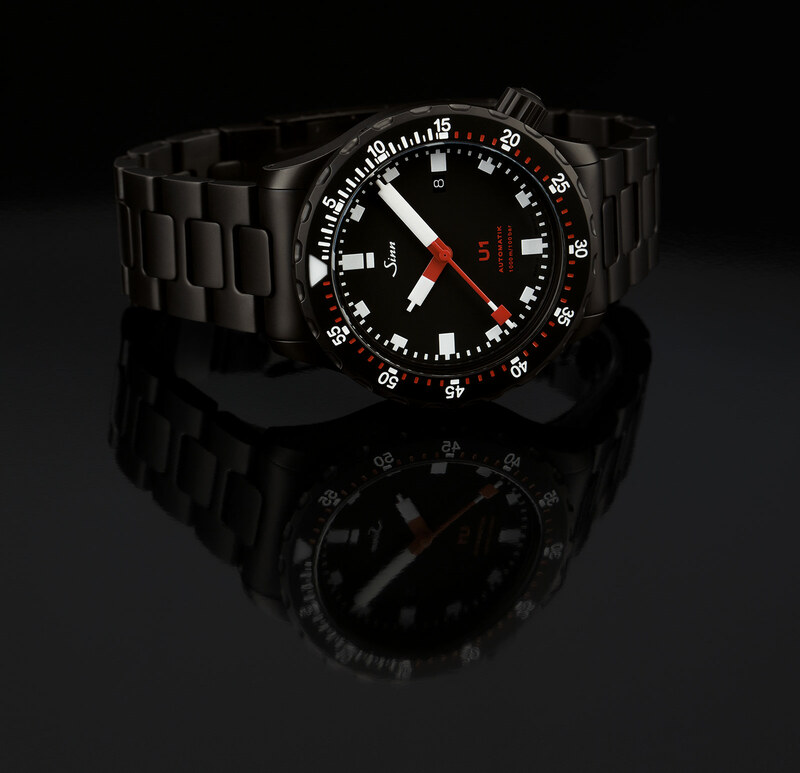 Featuring the same case as the extra-large U212 dive watch, the KSK edition is 47mm in diameter and fitted with a bezel covered in a hard black coating. 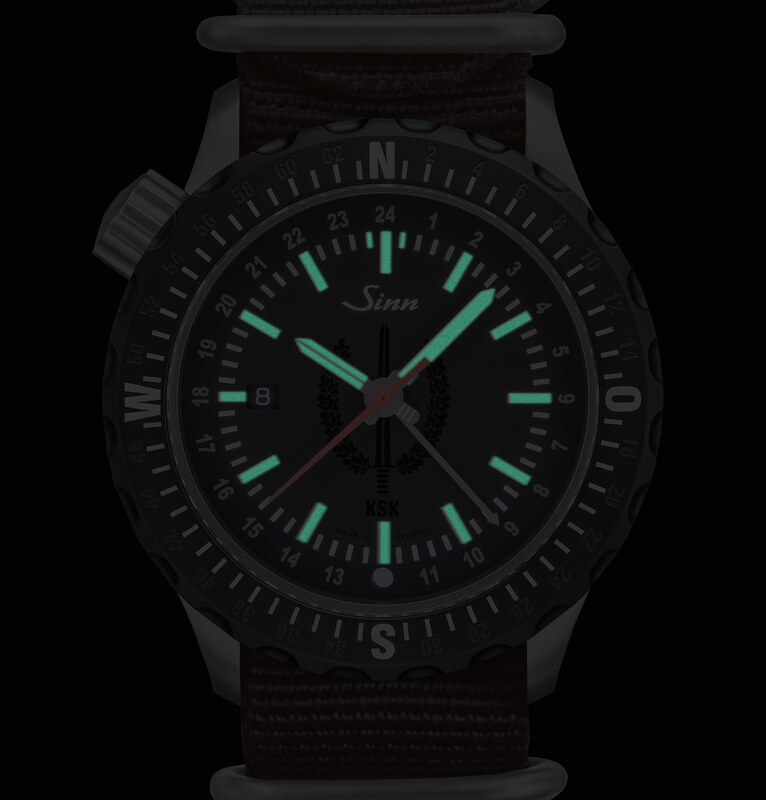 Additionally, the bezel is also treated with Tegiment, Sinn’s proprietary surface hardening process, to make it almost scratch-proof. And the inside of the case is filled with Argon gas to prevent moisture seeping in. Whatever moisture that does get in is absorbed by a capsule containing copper sulphate visible on the dial at six o’clock. It’s available with various strap options, from a steel bracelet to NATO-style fabric strap. Next up are variants of the U1 featuring all-black cases; both are part of the regular collection and not limited editions. 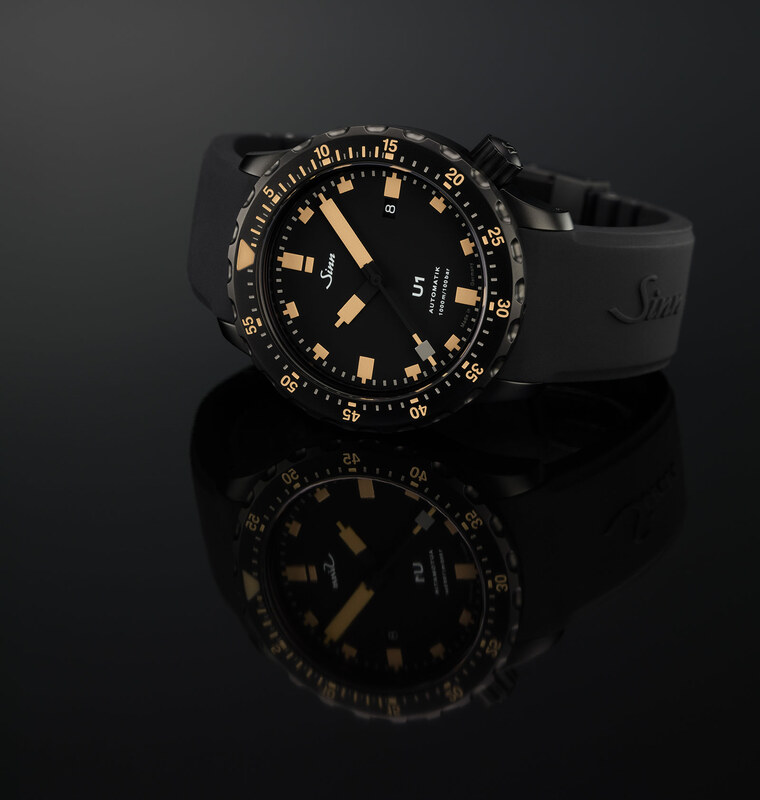 The cases are made of Tegiment-treated submarine steel that is then coated with a black ceramic layer. They are the standard 44mm U1 size, rated to 1000m and powered by the Sellita SW200, a clone of the ETA 2824. 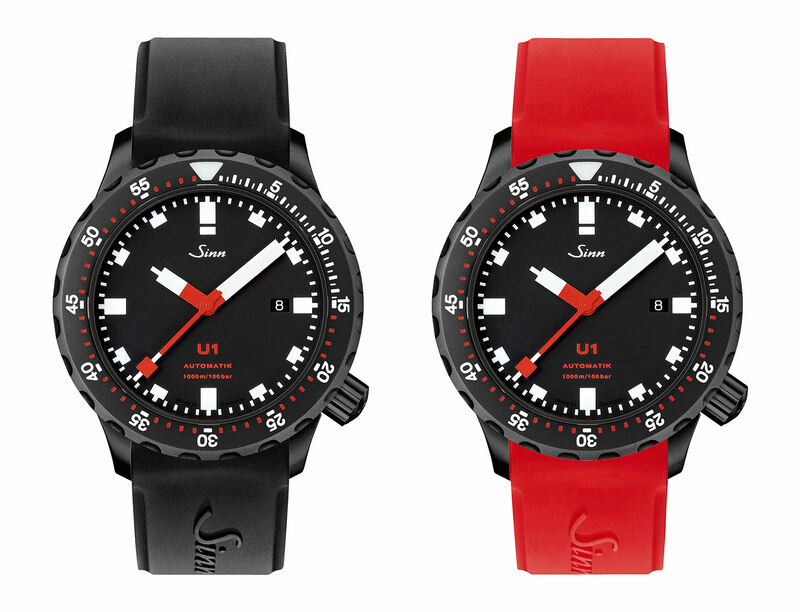 The first is the U1 S, essentially the basic U1 in black and red livery, clad in black case. And the second is the U1 SE with ivory-tone Super-Luminova on the dial and hands for a faux vintage look that’s surprisingly similar to the U1-D limited edition made for Singapore retailer The Hour Glass last year. All three models hit stores in October 2016. The 212 KSK starts at €2480 with a leather or fabric strap, rising to €2650 for the one on a steel bracelet. 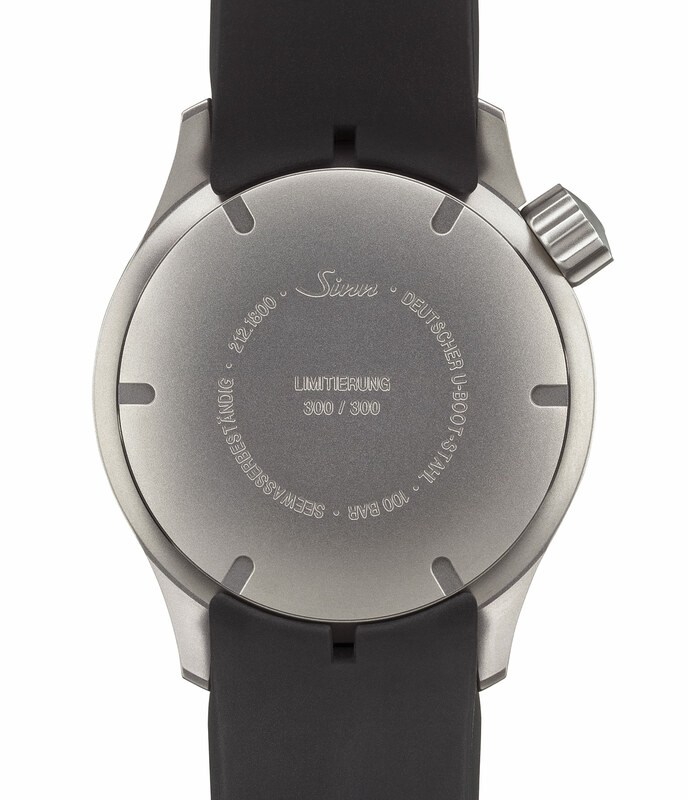 The U1 S and U1 SE are both priced at €1910 on a leather strap, €2160 on a rubber strap, and €2220 on a steel bracelet. Addition October 29, 2016: Further information on the compass bezel, as well as the price of the U1 S and U1 SE added.